David Meyers is a recognized leader in placing exceptional culinary management talent in clubs. With more than 25 years of hospitality management experience as an Executive Chef and General Manager, he brings a uniquely refreshing operational perspective to the requirements facing businesses today. Since 1999, David Meyers Associates, Ltd. has represented Club Management and Chef Search Committees of private clubs throughout the country in their search for appropriate, qualified culinary management. His track record is such that David has filled 100% of private club executive searches accepted by his firm, within budget and in the time frame promised his client club partners. David has practical experience at nationally recognized properties including the Five Diamond/Star Ritz Carlton Hotel Chicago, and Platinum Private Clubs including The Standard Club of Chicago, Twin Orchard Country Club, and most recently as General Manager at the North Shore Country Club, IL where he successfully managed for fifteen years. Formally trained in both the hospitality management and the culinary art disciplines, David earned an Associate’s degree in Hospitality Management and completed a three-year Chef Apprentice Program under strict American Culinary Federation (ACF) guidelines. His continuing professional relationships include the Club Managers Association of America (CMAA), ACF and NACE organizations, and serves as a Board Advisor/ Instructor to the Triton College Hospitality Management Program. David was also inducted into the Culinary Institute of America Society of Fellows in 2012 for his exceptional reputation and accomplishments in the culinary placement profession and working with the school. Bill Schulz, MCM is the Senior Culinary Associate with David Meyers Associates. Aside from being an active Search Partner, Bill specializes in providing Food & Beverage Consulting for clubs. Bill is very passionate about club management and is a recognized expert in Club Food & Beverage and Financial operations. His passion for food and beverage excellence coupled with strong financial skills have propelled Master Club Manager Bill Schulz’s career. A culinary school graduate, Bill spent his early years as an Executive Chef before making his mark in club management. His resume includes the prestigious Twin Orchard Country Club, located on Chicago’s North Shore, which he successfully managed prior to becoming the General Manager of the nationally prominent Houston Country Club that he managed for 22 plus years. Bill is a recognized leader of exceptional vision in the club industry. Many of Bill’s ideas and programs are used as models throughout the club industry. He has won numerous recognitions in CMAA’s Idea Fair and was instrumental in developing the Club Operations Manual, the cornerstone of CMAA’s Premier Club Services. In 1997, Bill became CMAA’s eighth Master Club Manager (MCM). His MCM monograph, the “Assistant Manager in Development Program,” is the CMAA endorsed Manager-in-Training program used internationally throughout the club industry. In 1988, he was elected to the Board of Directors of the Club Managers Association of America and served as its National President in 1994. Bill has chaired many CMAA committees and served as a Governor on the Club Foundation Board and on the MCM Academic Council. In 1999, Bill was honored to have been chosen Club Management Magazine’s “Club Manager of the Year,” and in 2002 he received the “Excellence in Club Management” award. Bill also holds the title of Maître Restaurateur Commandeur in the Chaine des Rotisseurs, and is an active member of the Les Amis des Escoffier Society. Daniel G. Hugelier, CMC is the Central Region Culinary Specialist with David Meyers Associates. Dan’s impressive culinary career is recognized industry-wide for his many contributions as a culinary professional and coach to many. His career spans decades, leading highly acclaimed culinary programs such as The Detroit Athletic Club, The Amway Grand Plaza Hotel and most recently under his watch as Professor of Culinary Arts of Schoolcraft since 1991. A celebrated mentor, author, educator and Olympian, Dan’s passion for the craft coupled with his innate business sense rounds out the team’s depth of culinary know-how and network. Daniel Hugelier was certified as a Master Chef in 1988. He is a three-time member of the only culinary team in history to win the prestigious hot food Gold Medal three consecutive times - 1980, 1984 and 1988 - in the IKA (International Culinary Olympics) in Germany. He has also coached for National Team USA in 1990, 1992 and 2000. He was twice a member of the USA National Ice Carving team for Japan and currently contributes as a judge for food and ice competitions with the goal of encouraging others to develop their skills. Chef Dan currently is advisor and culinary coach for Team USA, the Culinary Olympic Team for Luxembourg, and The German IKA-Hoga competition in 2016. 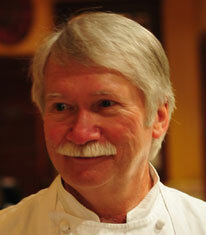 Chef Hugelier recently retired as professor of Culinary Arts at Schoolcraft College in Michigan. His responsibilities centered around the new VisTaTech Center American Harvest Restaurant where he taught students in advanced skills-based cooking. He believes that teaching and training are the most rewarding elements of developing our profession. He is recipient of the NISOD and Trends awards for teaching excellence. For two decades, Chef Hugelier has consulted for many successful resorts, clubs, restaurants, and R&D product development accounts under the banner of Culinary Concepts International which provides staffing, training-development programs, marketing strategies’ and custom products for the food and beverage industry. Chef Hugelier has been an author, and a regular column contributor to The Bowyers Journal, a publication geared toward traditional archery. His love for outdoor sports and nature is the basis for developing the Wild Harvest cooking articles published in 27 countries, and WildSeason products – great assets to the professional cook. Firmly committed to promoting quality in the food industry, Chef Hugelier’s efforts toward developing others are fueled by a sincere joy for sharing the craft and science of cooking. Visit Chef Dan's WildSeason on Facebook or at www.wildmasterchef.com. Rod’s career in the hospitality industry began growing up in his families catering business in Lancaster County, PA; He attributes this to building a solid foundation that has served him well throughout his entire career. Upon graduating from The Culinary Institute of America, Rod accepted a Chef Position at The Boars Head Inn, Charlottesville, VA. In a surprise move, and telling us it was the best move of his career, Rod went from being a Chef and accepted an apprenticeship at the Greenbrier Hotel in White Sulphur Springs, VA, Upon completion of this additional training, he joined the Colonial Williamsburg Foundation and for 10 years held a variety of management positions including Director of Food Production and Quality Control, and General Manager of The Lodge Conference Center and Colonial Taverns. Rod rejoined the Greenbrier and for the next thirty years served as Executive Food Director, Director of Food and Beverage and ultimately Vice President of Food and Beverage for The Greenbrier Resort and Management Company. One of the programs he is especially proud of is the development of “Club Chef Institute at The Greenbrier” which attracted 300 of the brightest and best chefs from the Private Club industry. Annually they would meet for networking and educational purposes. 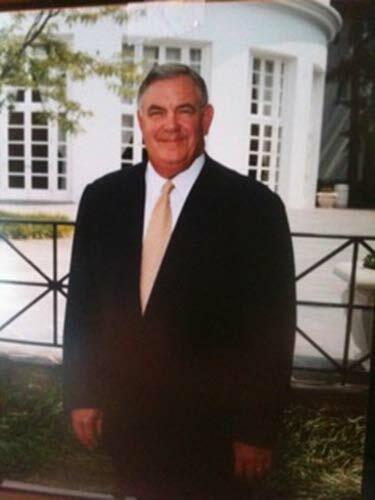 After retirement from The Greenbrier Resort and Management Company he formed the Hospitality Consulting Company, Rod Stoner, LLC. Rod continues to selectively consult club and foodservice clients including Chick-fil-A, now a perennial “Consumer Choice Award” recipient, resulting from his services. Joining David Meyers Associates he will look forward to assisting clients, their operations and helping the professionals we place elevate their culinary operations to perform at a high level of excellence. One of his greatest pleasures is the development of people and paring their talents with the right position to assure mutual success. Rod has served as President of the West Virginia Hospitality and Travel Association and on Hospitality Programs Advisory Boards with James Madison University and West Virginia University. He has maintained a long association with ProStart and The National Restaurant Association Educational Foundations program developed for high school students. Rod has judged and educated at both the State and National level. His passion has always been education and supporting the hospitality industry. Paul Sorgule, MS, AAC is the Northeast Region Culinary Specialist with David Meyers Associates. Paul Sorgule is a seasoned chef and industry veteran of both quality restaurant operations and culinary education administration. Paul served as Executive Chef of the Mirror Lake Inn, helping to bring the fourth diamond recognition for the Inn’s restaurant – The View. He held the position of Dean of Culinary Arts and Hospitality Management at Paul Smith’s College for 26 years where he developed associate and baccalaureate degrees in both disciplines. Most recently, Sorgule served as Vice President of Culinary Education at the New England Culinary Institute in Montpelier, Vermont. In 1988, as a member of the New England Culinary Olympic Team, his team was awarded a gold medal at the Culinary Olympics in Frankfurt, Germany. The American Culinary Federation (ACF) recognized Chef Sorgule as the National Culinary Educator of the Year in 2001. In 2008, Chef Sorgule was invited to bring the Mirror Lake Inn Culinary Team to cook at the prestigious James Beard House in New York City. Additionally, he served as a member of the ACF Accrediting Commission, chair of the Education Services Committee for the ACF, and board member for the Research Chefs Association (RCA). Sorgule earned a Master’s Degree in Hospitality/Service Management from the Rochester Institute of Technology. He is the author of 2007 and 2014 books entitled: In the Shadow of Cooks, and The Event That Changed Everything. He also publishes a popularly weekly industry blog through http://harvestamericacues.com and is commissioned to write for numerous other professional organizations. Bill Hunt, CEC, CCE, AAC is the Northeast Region Culinary Specialist with David Meyers Associates. 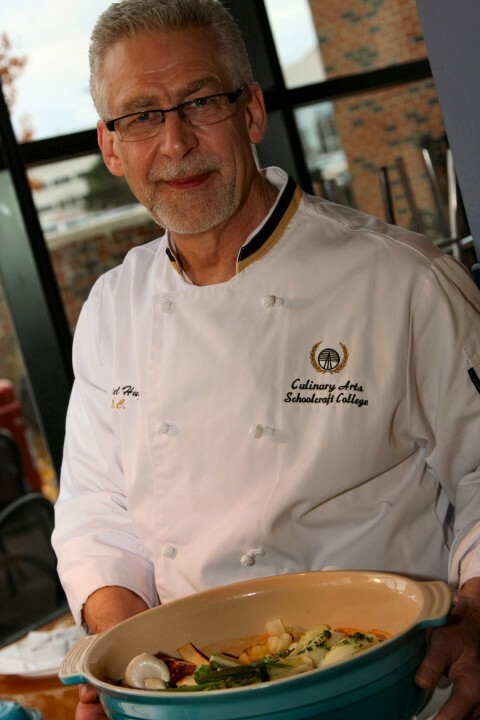 Bill is an engaged career culinary professional, educator, Dean and immediate Past President of Pennsylvania Culinary Institute, Pittsburgh, and Le Cordon Bleu, Pittsburgh, where he directed its programs during the past two decades. Bill brings a wealth of culinary knowledge, operational experiences, relationship know-how, and a national network of leading industry professionals - many developed under his direction in Pittsburgh where he calls home. A culinary school graduate, Bill spent his earlier career in culinary management positions in notable properties including the 5-Star, 5-Diamond Broadmoor Hotel and The Nemacolin Woodlands Resort as well as performing R&D and Consulting services for H. J. Heinz. He also and successfully completed an ACF Apprenticeship at the Pittsburgh Athletic Association Club. Bill continuously serves in various capacities shaping regional and national programming for the America Culinary Federation. 1n 2014, Bill served as President of the ACF Pittsburgh Chapter from 2004 – 2008. He is twice recipient of the Educator of the Year, 2000 & 2012. A fierce competitor, he is a winner of numerous culinary medals including competing on Team Le Cordon Bleu winning a Gold Medal in International Culinary Competition, Beijing, China, 2012. Most recently Bill acted as a Kitchen Proctor, during the Certified Master Chef Certification Exam, Pasadena, CA, 2014. He has worked beside many culinary industry icons including Ferdinand Metz, CMC, Ed Leonard, CMC and L. Edwin Brown, Culinary Ambassador of the ACF & Culinary Institute of America. Bill’s culinary expertise brings a unique perspective and understanding to the search process ensuring the right fit for every club. Wildly acclaimed and respected by all who know him, Bill has mentored many professionals that run highly respected Club, Hotel and Resort culinary programs. Perhaps his best qualities include his wit, business mindedness and remarkable character. His unquestioned integrity and work ethic are of great value to DMA and all current and future clients leveraging his experiences. 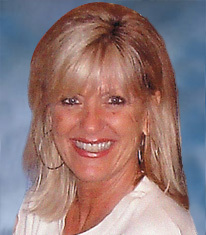 Patti Stanwood is a Recruiter with David Meyers Associates. With over 30 years of private club experience at Houston Country Club, working for both Bob Southwell and Bill Schulz, in addition to event planning and catering management at Dallas Country Club and the Fort Worth Club, Patti Stanwood joined David Meyers Associates in 2015. Her resume also includes restaurant marketing and media relations, producing press releases, and she is currently editing and publishing Club Management Perspectives, a professional newsletter for the private club community. Patti is one of our recruiters, behind the scenes on every Chef search. She brings a breath of fresh air and enthusiasm to our team. Patti's positive attitude and can-do spirit are quite contagious and compliment the DMA group beautifully.